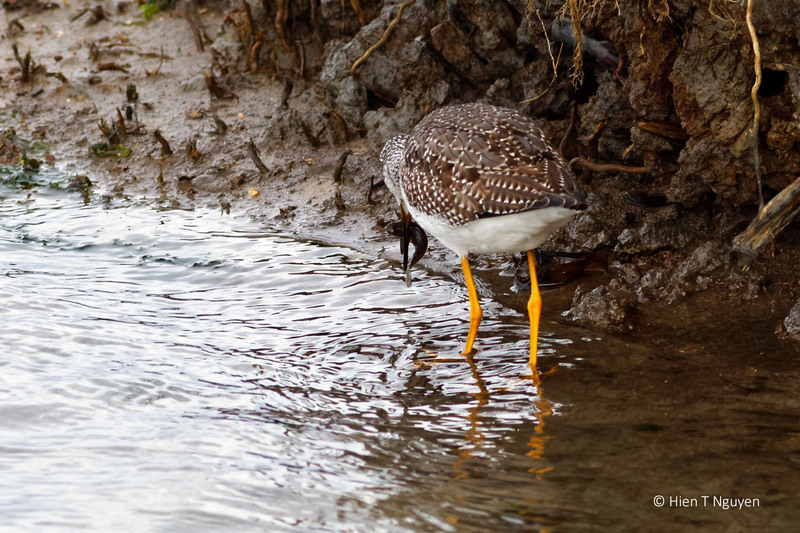 A bird with a name like Lesser Yellow Legs must have something to show for it. 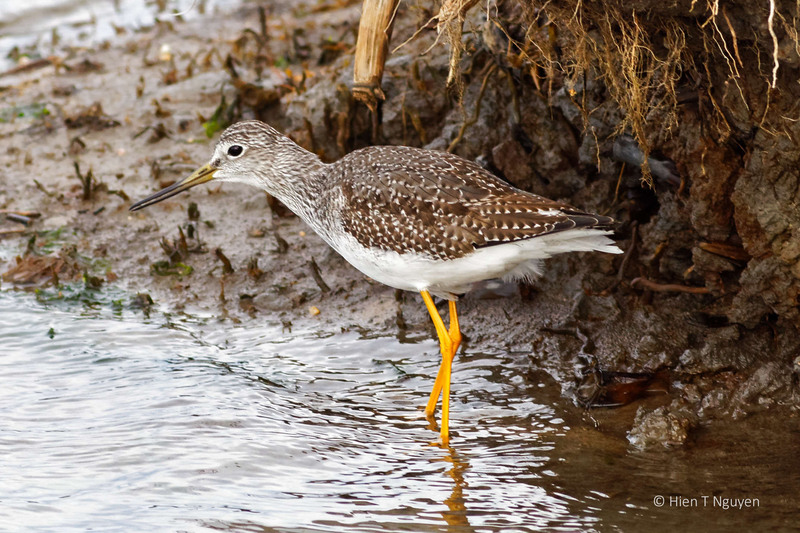 Indeed it has bright yellow legs, which are shorter than those of the Greater Yellow Legs, but still quite long, making it stand out among the birds of the marshes. I saw one while it was searching for food. The next instant it was half submerged in water. Lesser Yellow Legs with fish it had just caught. 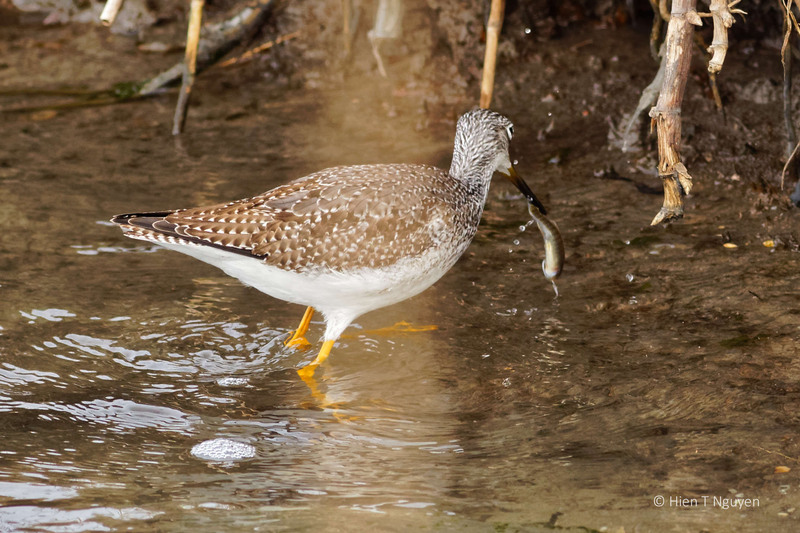 Lesser Yellow Legs eating fish it had just caught. 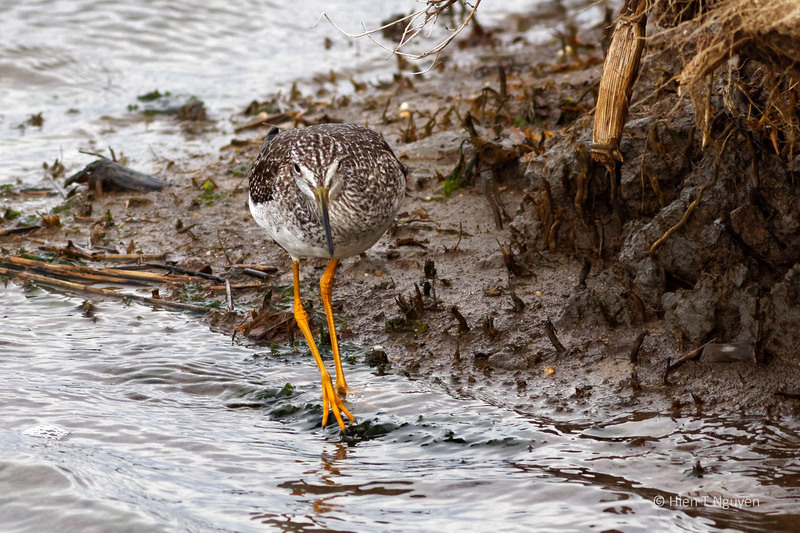 Lesser Yellow Legs looking for next victim. Beautiful pics, so clear and crisp . 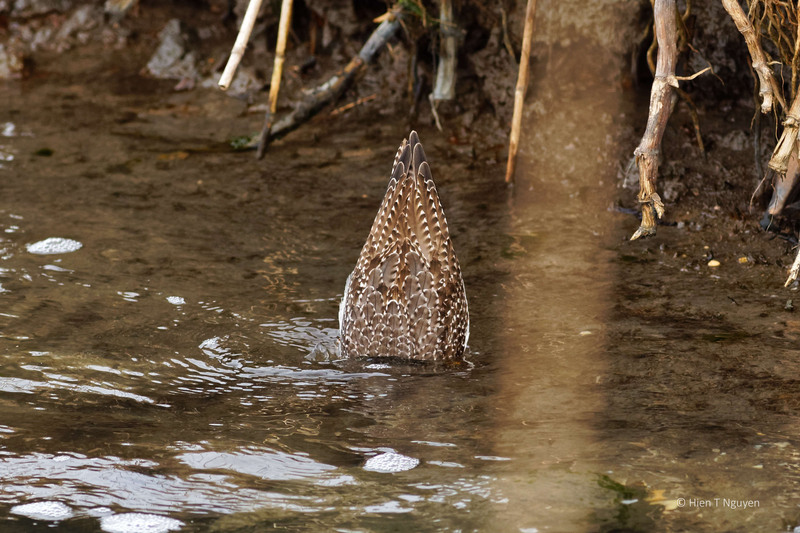 Really great photos, especially the one of the yellowlegs holding the fish that it caught! I didn’t know that they ate fish, I thought that their diet was insects and other things. I love it when a photo teaches me about nature! Thanks Jerry! I had never seen one eat a fish until this time. Those long legs are perfect for wading in marshy areas.